Our limo transportation service to and from McCarran Airport from your business or holiday destination are exceptional because we are in the business of making your life just that little bit easier. Plan your airport transportation well in advance. You book your hotel reservations, your convention schedule is planned down to the last detail and if you are here on vacation you have a list of things to do. We highly recommend that you book your airport limousine reservations in advance. Unfortunately most people don’t remember to arrange their transportation to and from the airport and often leave this important detail to chance. Many people opt to just take a cab. A taxicab is often smelly or unclean and they are notorious for taking long routes in an attempt to overcharge their passengers for the ride. Don’t fall victim to this. A shuttle bus may take up to 45 minutes to leave after you climb on board. Then you have the problem of it stopping at every hotel along the way. The fare is affordable but it can be a frustrating experience – especially after a long flight. In addition to the initial wait you may be required to wait for the shuttle to fill up with passengers and collect more people along the way as people reach their destination. Your trip from the airport could quite conceivably take up to a couple hours. No fun at all. This can be a nightmare for visitors to Las Vegas who are just not aware of how things work here. It is not a good way to begin your vacation or business trip in our city. Fortunately we have a better transportation option available. 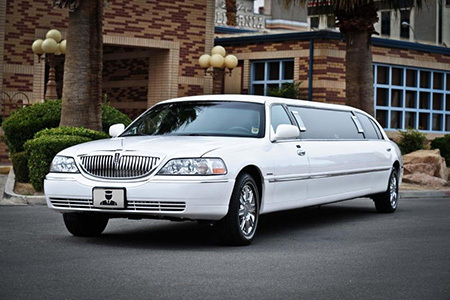 Our luxury limo service is a great way to get to and from McCarran Airport. When you book with us you will be able to select from the best vehicles available. MW Travel Las Vegas provides an air-conditioned limo service where your chauffeur will meet, greet and collect you at the airport – a feature that will immediately make you feel at ease. You will be guided from the moment you arrive at the baggage claim by a chauffeur who will assist you in collecting your luggage from the correct carousel and escorting you to your limousine.